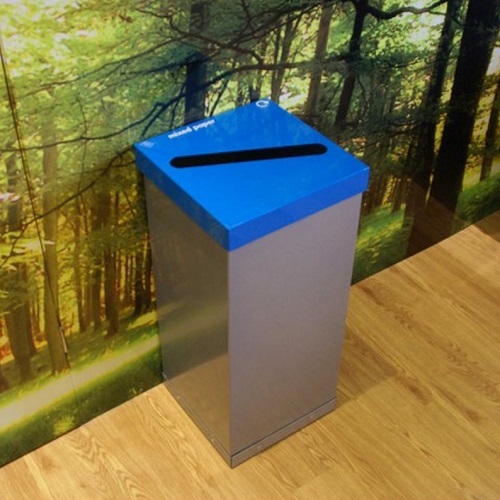 The Box Cycle is a 60 or 80 litre recycling bin designed for internal use inside offices, schools, nurseries etc. 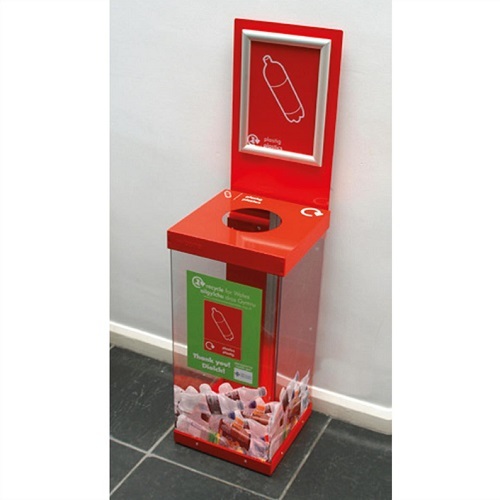 and is designed for the collection of one waste stream. 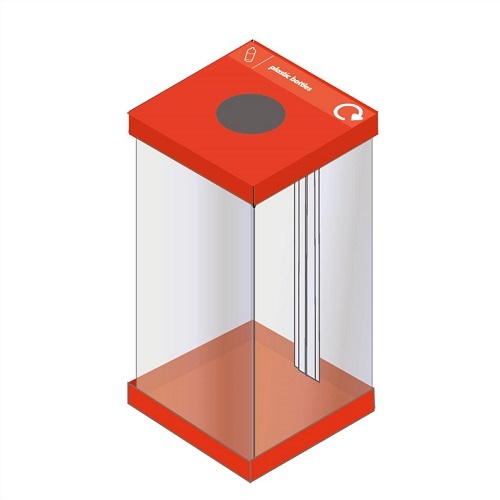 The transparent body is designed to help prevent cross contamination of waste streams by allowing users to see the contents of the bin. The transparent body is manufactured from robust polycarbonate plastic. The body is also available with a silver epoxy powder coated finish. 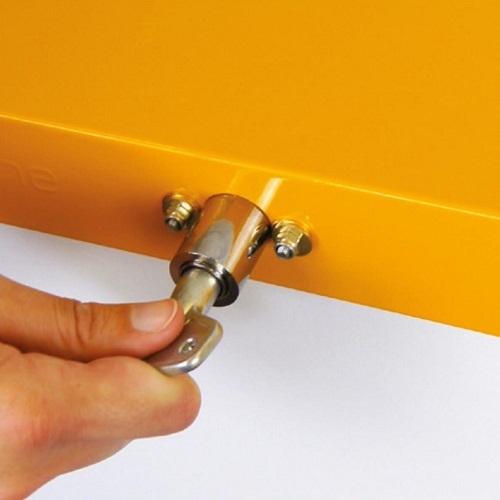 Both finishes feature high corrosion and abrasion resistance and they are also fire retardant. 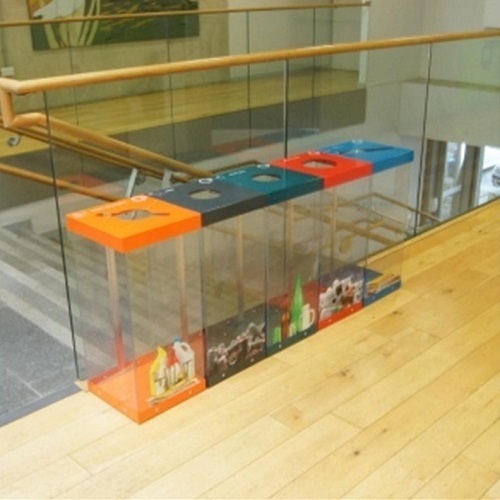 The powder coated finish is ideal for hiding unsightly waste streams such as food waste. Please note If the silver body is selected the base will also be finished in the same colour. 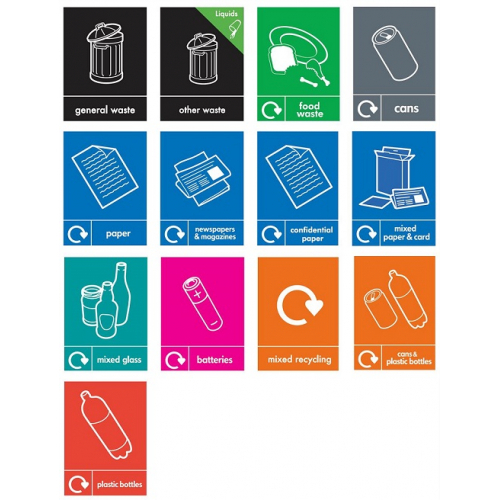 The bin features a removable sack retaining lid in a choice of colour to match the waste stream you require. 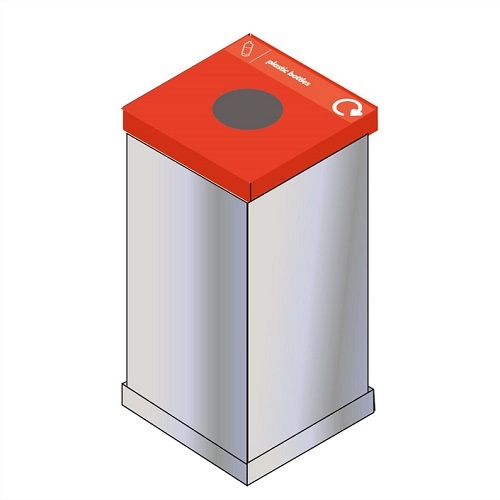 The General Waste, Other Waste and Food Waste lids are only available with the silver powder coated body. 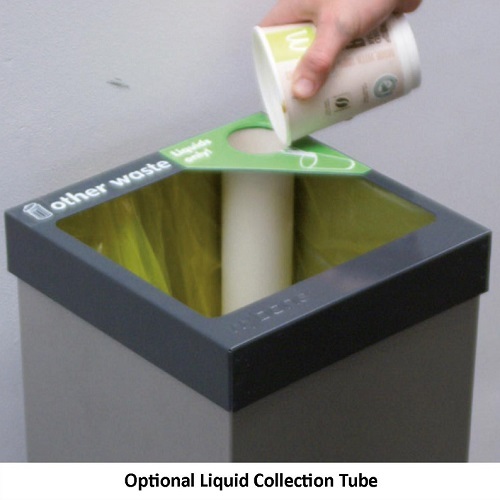 *Please note if you select the ‘other waste with liquid collection’ lid, you will also need to select the liquid collection tube. 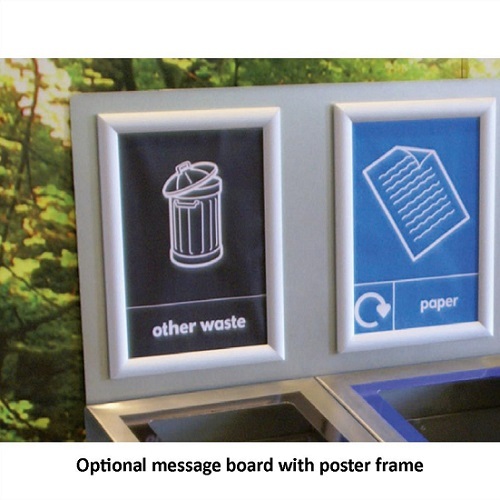 A message board can be added to the Box Cycle and this can be used to display vinyl stickers, magnetic labels or even an optional poster frame to display your own artwork.